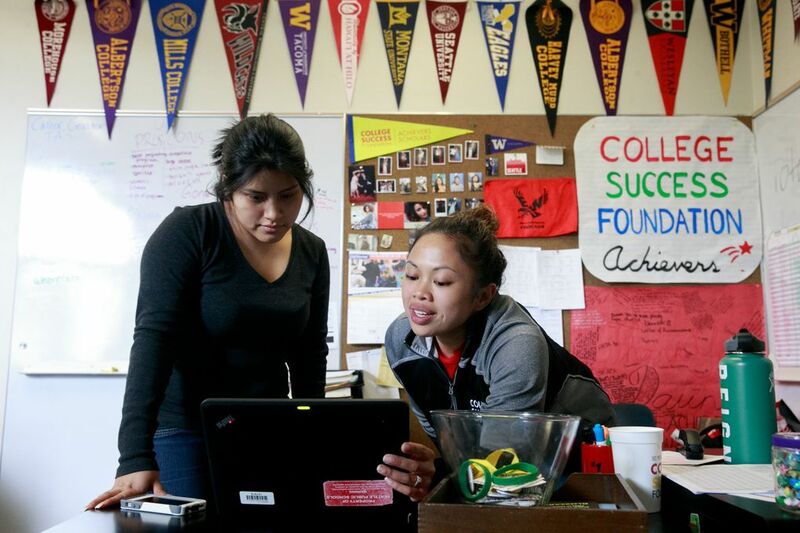 While some prosper, others struggle to survive in Seattle. AT PETE’S EGGNEST on Phinney Ridge, the down-home atmosphere, in one of the city’s hottest neighborhoods, reads like a chapter from a simpler, sweeter time in Seattle. Owners Voula and Pete Sideris, immigrants from Greece, opened this diner more than 20 years ago. They bought a house in Ballard and raised their family on the restaurant’s earnings. Pictures of Greece line the walls. A group of seniors, including the Siderises, when they’re not warmly greeting customers, chats at a big table by the kitchen. 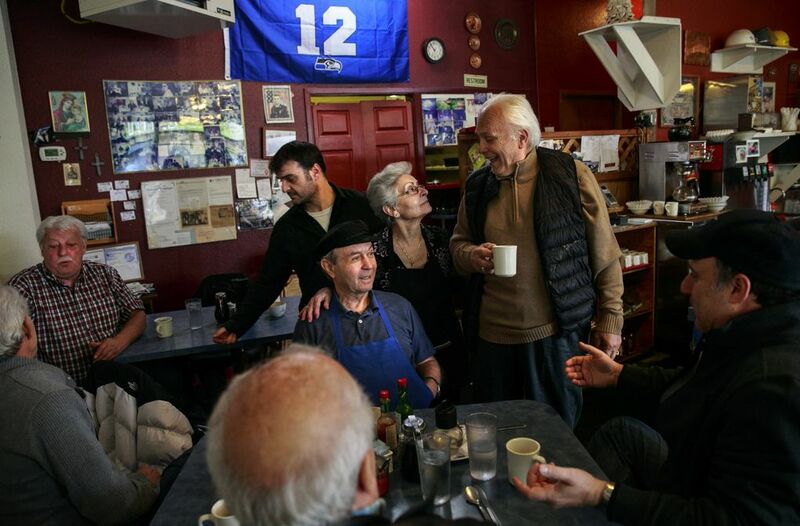 Even before Seattle’s minimum wage was raised to $15 an hour, they were paying their workers $17 an hour, their son and the restaurant’s manager, Kosta, tells me. Seattle’s a hard place to live on a limited income. “They understood,” he says of his parents. Kosta worries about his elderly parents and their ability to keep pace with rising commercial rents in the neighborhood. And he fears that their path to the American dream — work hard, do what’s right, get ahead — isn’t one he will be able to replicate in his own life, not around Seattle, anyway. Kosta says he wants to start his own mom-and-pop business, a child-care center, with his wife, a Jewish refugee from Kazakhstan. But they’ve struggled to find a space to rent that’s affordable enough to allow them to compete with larger day-care chains. He owns a home in Mountlake Terrace but says that during the mortgage crisis, his wife lost hers, and she’s stuck paying down high-interest student loans. Kosta wants to get ahead, just like his parents, but the headwinds have left him discouraged. Seattle has always been a boom and bust town, but this boom has brought a whole other level of wealth that has tilted the scales, challenging our ideas about poverty and economic mobility. 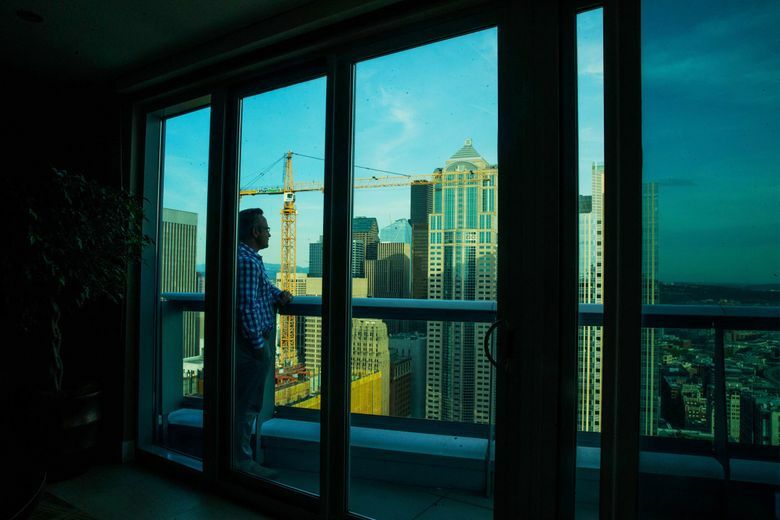 Seattle’s rents are now the ninth-most expensive in the world by one measure. Home prices continue to set records. Local tech employees have $5,500 in disposable income left over every month, on average, the most of workers in that field in any major city in America, according to a recent report by Zillow and LinkedIn. Sounds nice. But even for some of those with the good fortune to be riding this wave, money’s too tight to mention. THE EXPRESSION “quality of life” is used so often that we forget the extent to which the qualities we prize in this region, a distinct sense of place high among them, rely on the ability of different kinds of people to make their lives here. Solid Ground, the anti-poverty and social-justice organization, owns some 175 transitional and permanent housing units in a mix of former Naval buildings and new construction at Magnuson Park in the Sand Point neighborhood. The place feels like a village, with kids hanging out in a central playground and at a community center where tutoring, classes and social gatherings take place. Several weeks after I visited, tenant Charleena Lyles, a mother of four who suffered from mental-health issues, was fatally shot by two Seattle police officers responding to her complaint of an attempted burglary. Three of her children were home at the time of the shooting. The tragedy set off demonstrations and an investigation into how the situation spun out of control. The complex was designed as a safe place to start over, complete with a host of support services, in an expensive city that doesn’t make things easy for the poor, especially those with other, underlying problems. The aim is to help the formerly homeless “normalize stability,” Solid Ground spokesman Mike Buchman says. At Sand Point, residents pay a third of their monthly income in rent, zero if they have no income. Given the area’s high rents, “More people coming in are staying in,” Buchman says. There’s simply no place else that’s affordable in the private market for this type of renter to move into. “For a lot of people we work with, it’s not a realistic expectation,” he says. 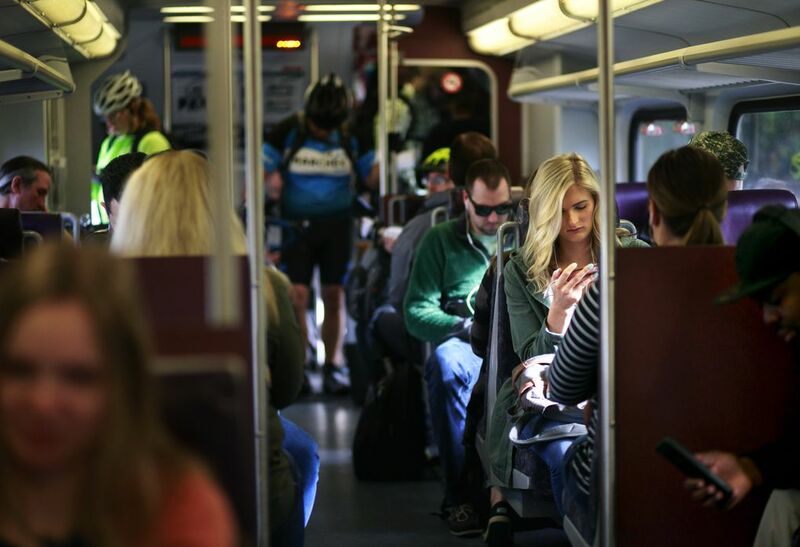 Even full-time staff members at Solid Ground have to commute in from as far away as Pierce and Snohomish counties, Buchman says. Their situation is a widespread problem at a time when the middle class is also feeling squeezed. At the Iron Workers Union Local 86 in Tukwila, where crews are dispatched each morning to construction jobs all around Greater Seattle, business manager Jeff Glockner introduces me to a class of graduating apprentices who are about to become journeymen, earning $40 an hour. I ask for a show of hands: Who lives in Seattle? Not one apprentice raises his hand. They’ve all chosen to live in the South End and beyond, where up until recently you could get a lot more bang for the buck in terms of housing square-footage and acreage. Ghelettie Correa, 45, a project manager who works in downtown Seattle, says her family used to rent a home on the Eastside, but when they decided to buy a few years ago, their search for affordable house prices led them farther afield to Kent. Some questioned the couple’s decision to buy in what they viewed as an undesirable community, Correa says. “Now everybody’s moving there,” she says. For-sale signs, once plentiful, are rare. “No one wants to sell because there’s nothing they can afford” elsewhere, Correa explains. Rajesh Dhum, 33, a software engineer at Amazon who moved from Louisiana to work for the company, feels the pinch, too. 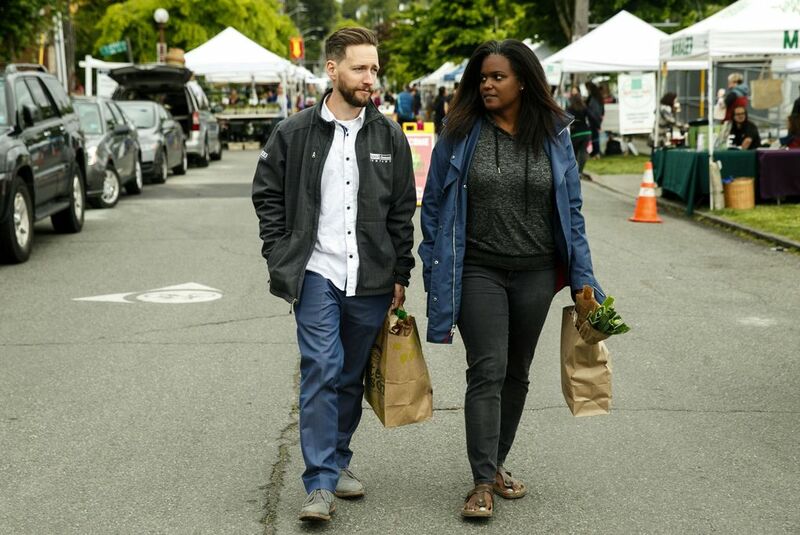 He and his wife purchased a house in Renton’s Fairwood neighborhood, which means he has to drive to the park-and-ride in Tukwila; take the Sounder into downtown Seattle; then take a bus to South Lake Union, where he works. Most mornings, Dhum arrives extra early just to secure a parking spot, even though he doesn’t need to start his shift until later. 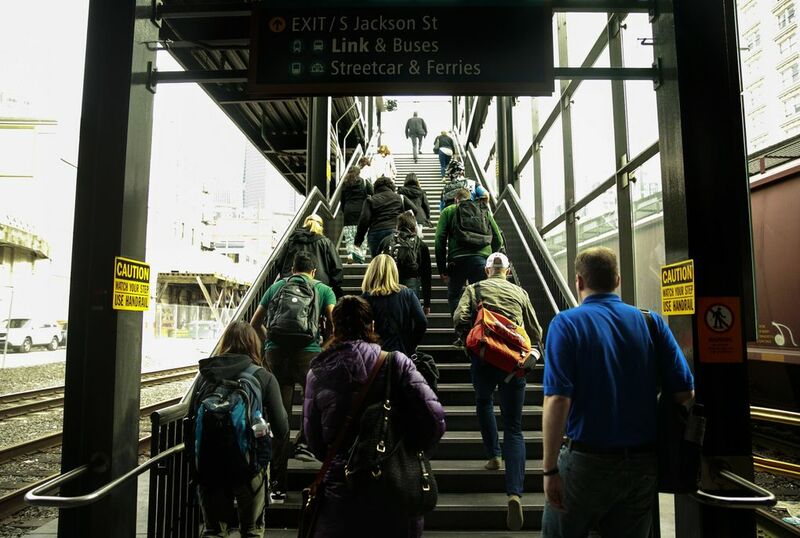 Living closer to work in Seattle would be ideal, but Dhum says that’s financially impossible. “I couldn’t do it,” he says. For the people who are most at risk, there’s some help on the way. 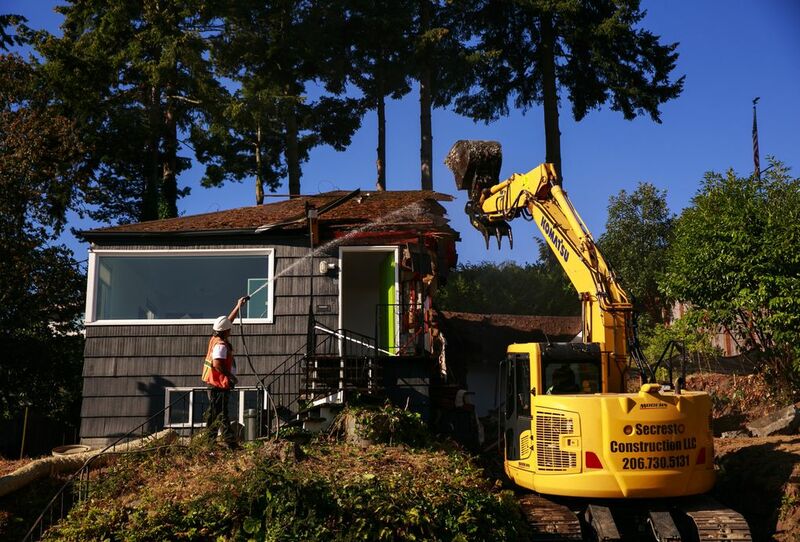 Mercy Housing, a partner nonprofit at Sand Point, is about to turn a set of unused buildings there into permanent “workforce housing,” Buchman says. At the much-contested Midtown Center property in the heart of Seattle’s Central District, nonprofit advocacy group Africatown has teamed with nonprofit developer Forterra and for-profit developer Lake Union Partners to build more than 500 apartments on the site, with about half set aside for lower-income tenants. Amazon plans to house a Mary’s Place homeless shelter in one of its new buildings, and another of its buildings is set to house five new FareStart eateries, starting this summer, that will offer apprentice positions to help low-income workers build their skills. The question of how much those of us who have are willing to do, give or give up, in order to ease the financial pressure on those who have less, remains. “Anyone who has ever struggled with poverty knows how extremely expensive it is to be poor,” the late writer James Baldwin once wrote. Seattle’s tax policy, for instance, burdens people at the lower end of the pay spectrum while essentially rewarding wealthier residents, though a proposed 2-percent city income tax on wealthy households could shift that balance. At this point, with prices for housing in particular continuing to outpace earnings increases, we’re playing catch-up, at best. 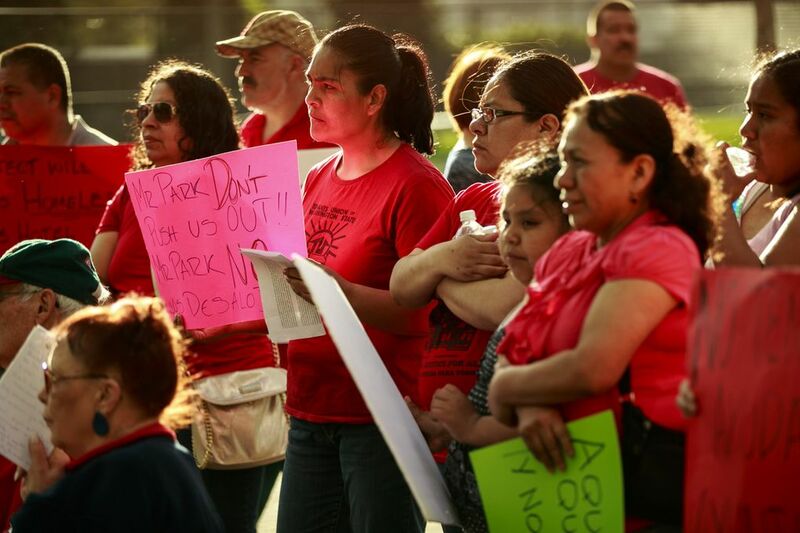 THE BROOKINGS INSTITUTION recently singled out Greater Seattle as an example of a nationwide trend: the clustering of the poor, people of color and immigrants in outlying areas as cities grow more expensive. Michel Iduma; his wife, Christine Wkusolela; and their children fled civil strife in their home country of Congo three years ago. 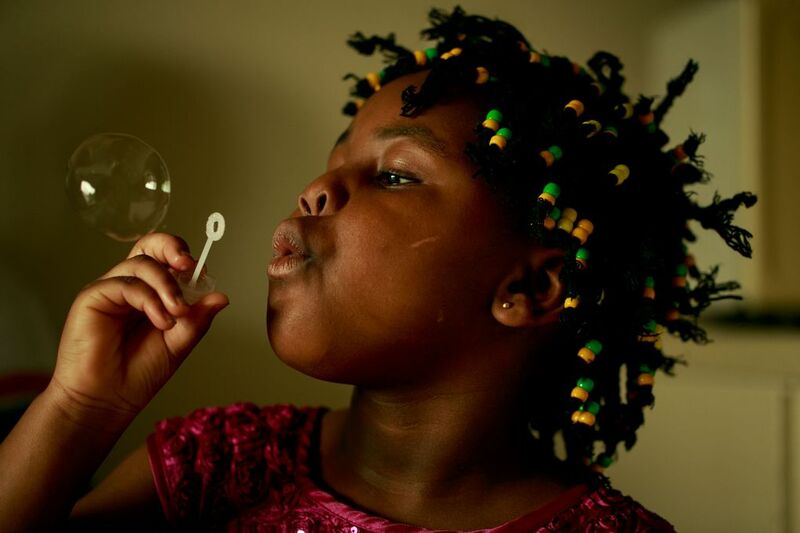 Iduma, a skilled photographer who speaks Swahili, arrived in the United States unable to say even “hello” in English. Largely because of the language barrier, he’s been able to find only low-skill jobs in the Seattle area. Iduma was working the 6 p.m. to 2:30 a.m. shift as a janitor at Amazon when we met him this spring. He’s the main breadwinner for his family. 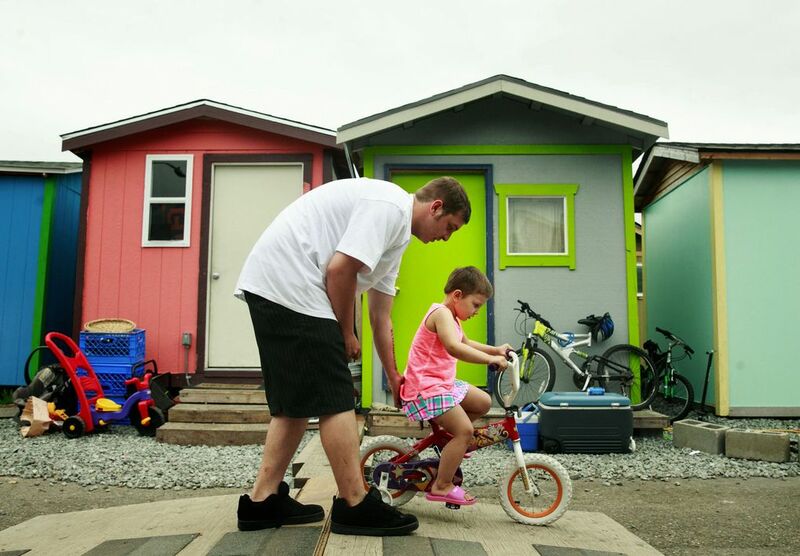 The couple is raising three kids in a two-bedroom, $1,200-a-month apartment in Tukwila, close to Seattle-Tacoma International Airport and a few blocks from a Link light-rail station. They feel lucky to have it. Rents and housing costs are rising in this historically more-affordable area. 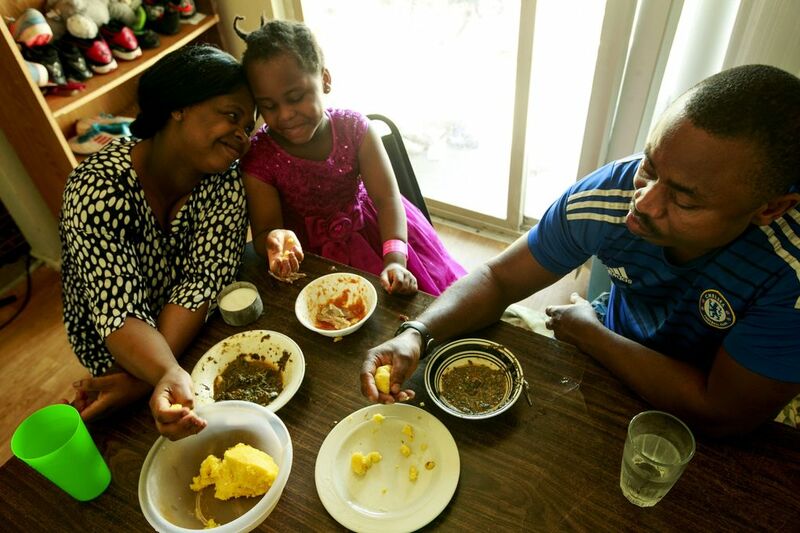 In Congo, the family was more financially stable before the unrest, Iduma says through an interpreter who works with the International Rescue Committee, which assisted the family when it arrived here as refugees. “For us, life was simple, but it was good,” he says. Here in the States, however, life is good but far from simple. They’ve been surprised by the high cost of establishing themselves in America. The $14 an hour he earns as a janitor doesn’t go a long way. If Iduma loses his job, the family would be at risk of losing the apartment. He hopes the English classes he’s taking will help him secure a better-paying job. 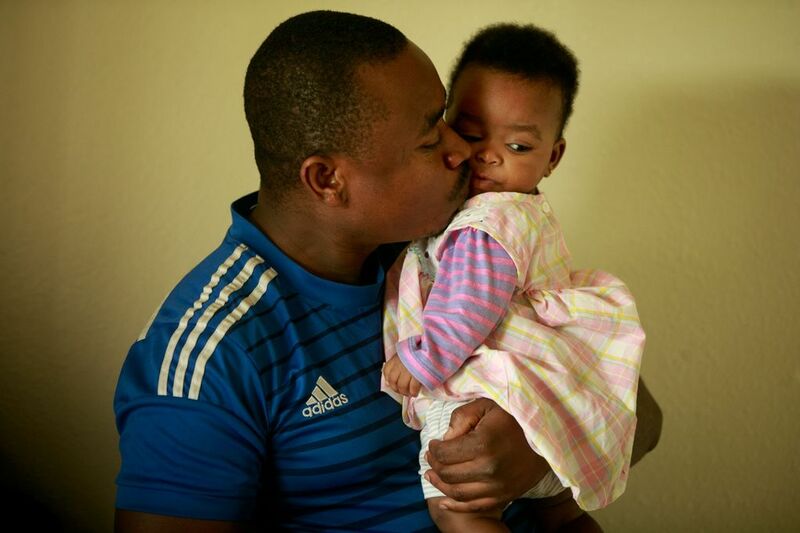 Wkusolela used to do housekeeping work, but since giving birth to their youngest child about 8 months ago, she has stayed home to care for the kids. While Iduma sleeps after his night shift, she gets the kids ready for the day. Iduma half-jokingly says he dreams of at least one of his kids growing up to be a professional soccer player. More than that, his ndoto for his kids is that they take full advantage of the public-education system in their new country, so they can start out in life in a better position than he did in his new country. 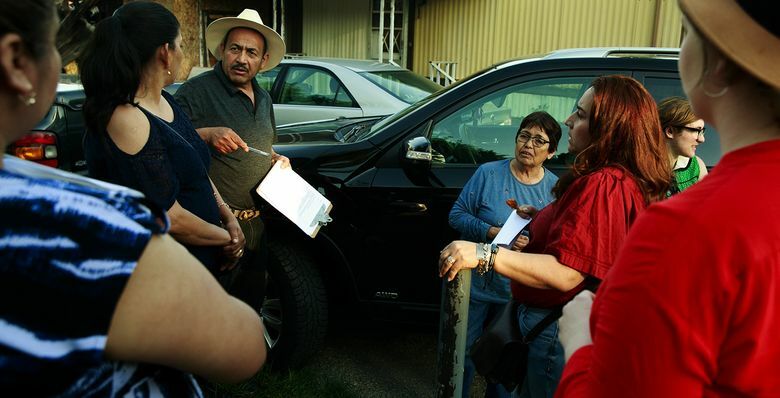 At The Firs, a complex of more than 65 manufactured homes just south of Sea-Tac airport, the mostly Spanish-speaking residents are fighting plans for a hotel development on the property. Homeowners have been offered $2,000 each by the owner of the land to help with moving costs. They’ve also won an extension allowing them to remain on the property until October. But they want more time — or, ideally, to stay. One of the organizers, a mechanic and truck driver named Cruz Medina, steps out from under the hood of a car he’s working on and tells me in Spanish that four families, fearing eventual displacement, have left. Medina says a schoolteacher in the home behind his has lived here for 40 years. Many families with children live here. They go to schools nearby. This neighborhood is all they know, all their families can afford even with relocation assistance, he says. For his part, Medina says he’s “55 and working every day” to keep afloat. Those who remain have offered to pool their resources or raise outside money to purchase the property themselves, keeping it safe from development. The proposal has gone nowhere. Another resident, Alejandro Gonzalez, who works as a cook in a bar in South Seattle, joins the conversation. 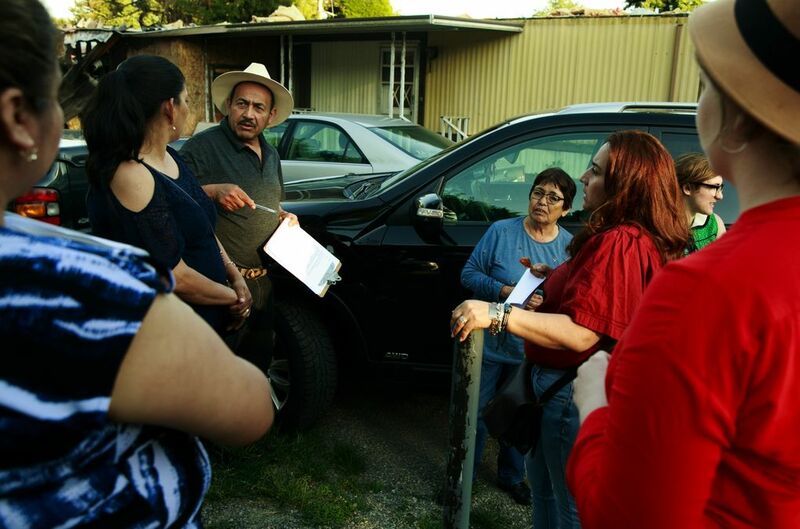 Gonzalez, 27, says the city, which lacks any Hispanic or black council members despite those two groups making up 41 percent of the population, doesn’t care about the fate of people in the mobile-home park. Whether racism plays a role in the human drama unfolding at The Firs (the city says its hands are tied), the campaign to save it demonstrates the personal nature of people’s fights to stay rooted during a period of historic economic upheaval. AT ABOUT THE same time in the wee hours that Iduma falls into bed after his shift at Amazon, Luke Bosshardt is waking up to begin his day there. 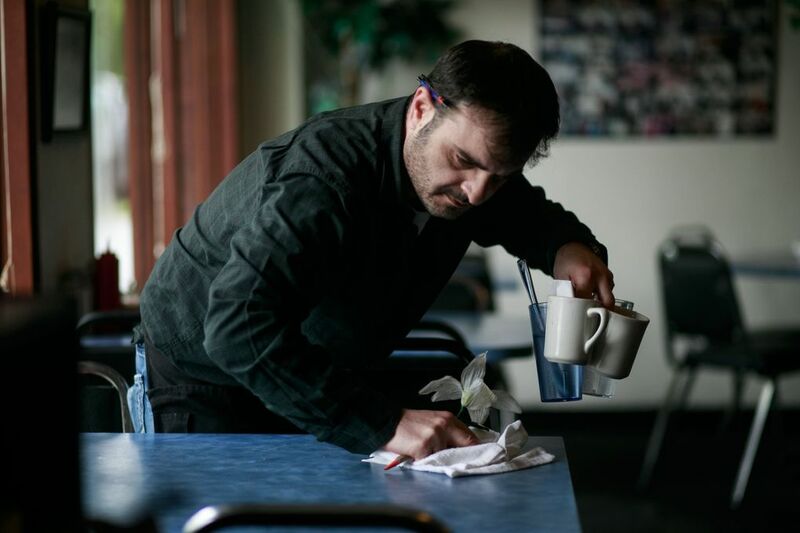 Bosshardt, 37, graduated from the food-services job training program at Seattle’s FareStart in 2015 after serving 16 months in prison for possession of a controlled substance in Central Washington, where he was raised. Today he presides over the soup offerings at a cafe in an Amazon office building in South Lake Union. The Wenatchee-area native heard about FareStart’s culinary and food-service training programs while in prison. He also wanted to take advantage of Seattle’s strong economy. “I just went in full-bore and haven’t looked back since,” Bosshardt says. He’s engaged now, and the couple has a 5-month-old girl. They rent a small cottage for $1,250 a month in Southwest Seattle. Bosshardt makes extra cash by working on houses and fixing cars. He saves money on transportation by purchasing unlimited rides with Uber each month for a set fee. His big goal is to purchase a home someday. In 1999, Susan Russell was a highly skilled, union cement mason making $24.96 an hour and living on her own in Seattle. She proudly speaks of being one of only 10 women in her union at the time and of helping to build Safeco Field and the exhibition center next to the Seahawks’ stadium. “I worked hard. I worked honest. I did my job,” she says. One day that year, when she was 37, Russell’s car was rear-ended by an uninsured driver. The collision badly injured her back, and she was no longer able to work. Her savings lasted about two years. She was evicted from her apartment. Life became a matter of survival. Russell went from saving up to buy a house and a Harley to sleeping in a car or on people’s couches; bunking outdoors next to the Fremont Troll; or camping in the woods in Kirkland, where she grew up. To make money, she cleaned houses and apartments, washed cars, did yard work. For food, she dumpster-dived at a Trader Joe’s on the Eastside. “I’ve been raped, I’ve been beaten, I’ve been robbed,” Russell says. Homeless for nearly seven years, she doesn’t want to go back. 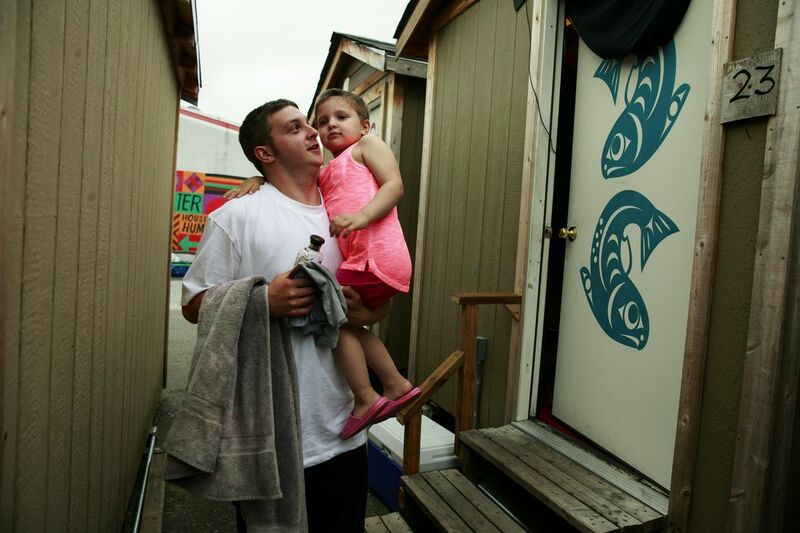 She recently moved into permanent housing at Sand Point. Russell doesn’t want anyone else to suffer on the margins, either. 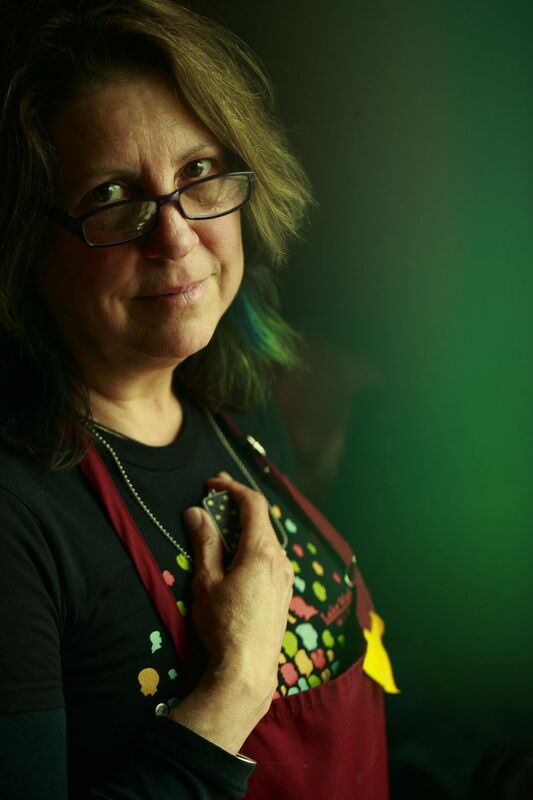 She has become a vocal advocate for the homeless, and today she and a group of friends are trying to start a movement to build self-sustaining tiny-house villages to move people off the streets. Russell helped build Seattle during an economic boom at the end of the last century. She’s hoping to build a better life, for herself and people like her, in the new one.